We are absolutely delighted to announce that our Care Quality Commission (CQC) rating has been upgraded from ‘Requires Improvement’ to ‘Good’, which reflects the significant improvements we have made to our home, as well as the hard work and dedication of our entire team. The CQC is the independent regulator of health and social care in England. The commission ensures that people receive the very best care, whether they are in a hospital, dentist, GP practice, ambulance or, in this case, a care home. We received a number of visits from the CQC at the end of September and beginning of October this year. During these visits, the inspectors received an insight into day-to-day life at Oak Springs, as well as real-world examples of our philosophy of care. The report of the inspection, which you can read here, highlights a number of key areas in which we have improved our care, as well as many positive comments about life at Oak Springs. Our rating was determined by the individual assessment of five key elements of care; safe, effective, caring, responsive and well-led. Across four of the five areas, Oak Springs was assessed to be ‘Good’. In one of the areas (well-led), we were assessed to be ‘Requires Improvement’. Whilst we are confident that Oak Springs is well-led, especially since the introduction of our new registered manager in 2017, the CQC has recommended that we strengthen some of our policies and procedures to ensure that we are meeting all of our quality assurance commitments. We are currently reviewing our internal policies and providing training to staff based on the recommendations by the CQC. This ensures that we are not only meeting the CQC’s expectations – but exceeding them. We have many exciting plans in the pipeline for Oak Springs. We have been working with a local marketing and design company to create an entirely new visual identity for Oak Springs, as well as new signage and internal feature walls to bring the beautiful outdoors into the Oak Springs environment. We also have plans to purchase our very own mini-bus in the near future, which will allow us to take our residents out on even more excitable and enjoyable outings. 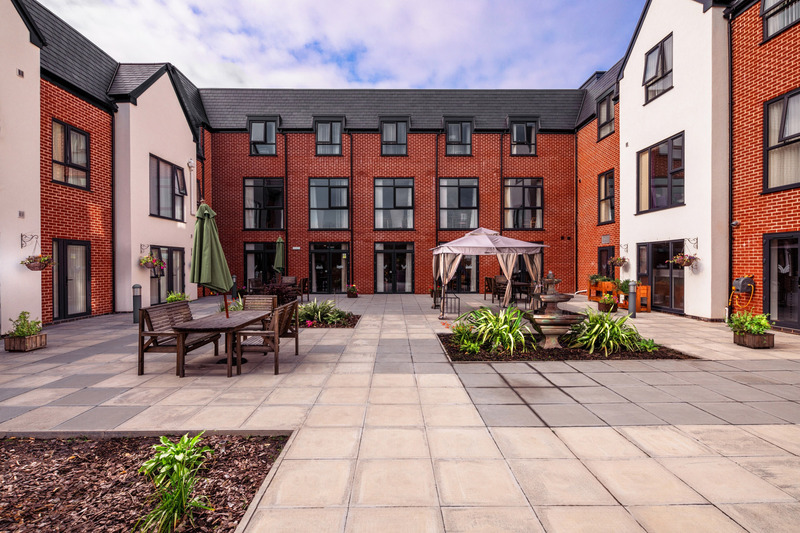 This is an incredibly exciting time for our care home, and this upgraded rating from the CQC is just another piece of good news that we are delighted to share. To learn more about our home, please visit www.oaksprings.co.uk. If you are interested in visiting Oak Springs, please pop in at any time, we would be more than happy to show you around and have a chat over a coffee.